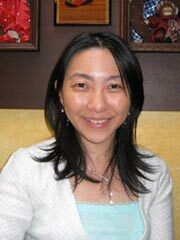 Dr. Chiu is a specialty trainee in nephrology. Currently she is undertaking a research project funded by Kidney Research UK on non-invasive bedside risk assessment for Sudden Cardiac Death in patients undergoing haemodialysis. This is under the supervision of Professor Philip Kalra, Dr Smeeta Sinha and Dr. Darren Green. Collaborators include Distinguished Professor of statistics Peter Diggle from Lancaster University and Consultant cardiologist Dr. Nik Abidin. Dr. Chiu’s research interests include sudden cardiac death, haemodialysis, electrolyte disorders and cardiovascular disease. In addition, she has particular interest and is actively involved in promotion of renal research to the public. Ritchie J, Rainone F, Green D, Alderson H, Chiu D, Middleton R, O’Donoghue D, Kalra PA. (April 2013). Extreme Elevations in Blood Pressue and All-Cause Mortality in a Referred CKD Population from the CRISIS Study. Int J Hypertens. 2013;2013:597906. doi: 10.1155/2013/597906. Epub 2013 Apr 22. Sinha S, Chiu D, Peebles G, Kolakkat S, Lamerton E, Fenwick S, Bhandari S and Kalra PA. (Oct 2010). Accelerated Total Dose Infusion of Low Molecular Weight Iron Dextran is Safe & Efficacious in Chronic Kidney Disease Patients. QJM. 2011; 104(3): 221-30. Chiu DY, Coward RA, Woywodt A, Gharpuray-Pandit D, Hart RO. Feb 2010 – Development of Pilonidal Sinus in an Old Exit Site Four Years After Removal of the Tenckhoff Catheter. Perit. Dial. Int. 2010; 30: 255-257. Sinha S, Chiu D, Peebles G, Kolakkat S, Lamerton E, Fenwick S, Fenwick S and Kalra PA. (Oct 2009). The Safety of Accelerated Infusion Versus Standard Rate Infusion of Low-Molecular-Weight Iron Dextran in Patients with Chronic Kidney Disease. NDT Plus, October 2009; 2: 432 - 433. Chiu D, Ande P, Rayner S, Coward RA and Woywodt A. (Aug 2009). The Times They are a Changin’—The Internet and How It Affects Daily Practice in Nephrology. NDT Plus, 2009; 2: 273 - 277. Woywodt A, Chiu D, Macdowall P, Hiss M. (Aug 2009). Renal failure, mental retardation and eponymous confusion. NDT Plus, 2009; 2: 323 - 327. Atkinson P, Chiu DY, Sharma R, Kalra PR, Ward C, Foley RN, Venning MC, Waldek S, O’Donoghue DJ, Kalra PA. (July 2009). Predictive Value of Myocardial and Coronary Imaging in the Long-Term Outcome of Potential Renal Transplant Recipients. Int J Cardiol. 2011;146(2):191-6. Sinha S, Chiu D, Peebles G, Fenwick S, Kalra P. (June 2009). Comparison of intravenous iron sucrose versus low-molecular-weight iron dextran in chronic kidney disease. Journal Renal Care; 35(2): 67-73. Ande P, Chiu D, Rayner S, Coward RA, and Woywodt A. (April 2009). What’s on the Web for nephrology? NDT Plus, 2009; 2: 119 - 126. Chiu DYY, Whiteside AM, Hegarty J, Wood G, O’Donoghue DJ, Waldek S, Mamtora H and Kalra PA. (Jan 2007). Epidemiology of Acute Abdominal Presentations in Autosomal Dominant Polycystic Kidney Disease. NDT, 2007;22 (5): 1483-1484. Hegarty J, Chiu DYY, Middleton RJ, Haeney M, Newstead CG, Bruce IN, Kalra PA and O’Donoghue DJ. (Nov 2005). Systemic Lupus Erythematosus, Eosinophilic Vasculitis and Acalculous Cholecystitis. NDT, 2006; 21(3):792-5.